You have Composer installed on your machine. Composer autoload is enabled. In application/config/config.php make sure $config['composer_autoload'] is set to FCPATH. 'vendor/autoload.php' (or whatever path you have composer installed in). The url helper is loaded in application/config/autoload.php ($autoload['helper'] = array('url');). You have set $config[base_url'] in application/config/config.php. 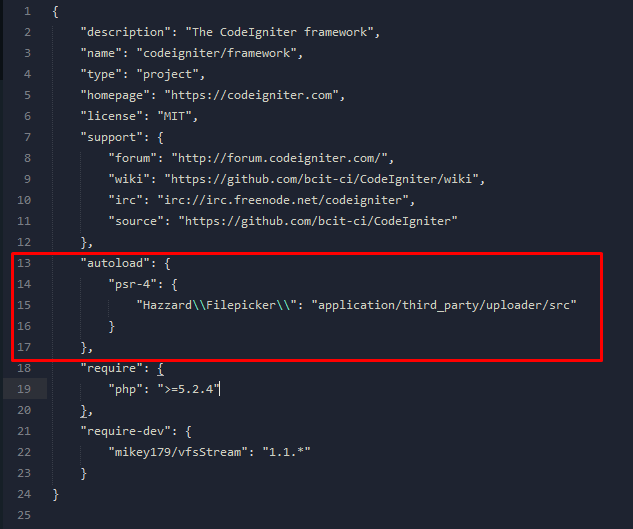 Copy the assets folder to your CodeIgniter root directory and the uploader folder into your application/third_party directory. // Path to the files directory (files). // Url to the files directory. In your view make sure to set the url option to "<?php echo site_url('filepicker') ?>" (or whatever route you choose).